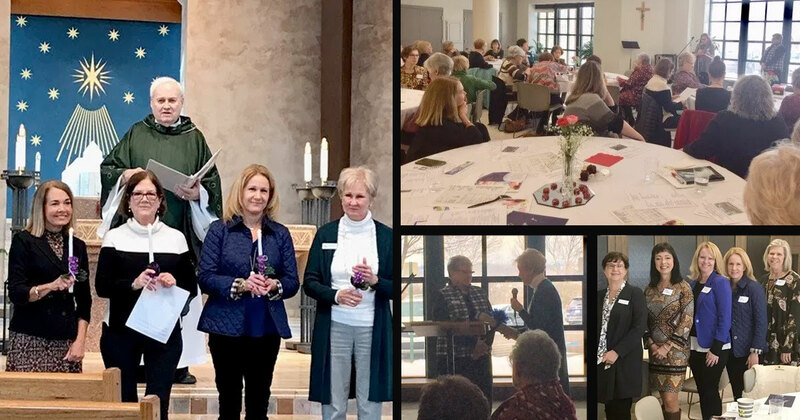 After being postponed due to weather, the Ladies of Charity of Kansas City gathered at Church of the Nativity on February 28, 2019 for Mass and the first meeting of the year. 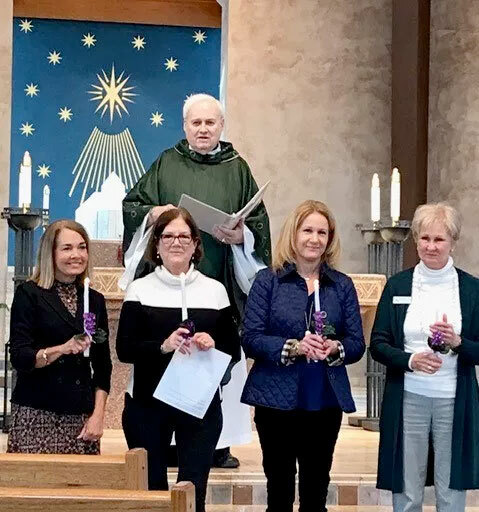 Father Mike Mulhearn celebrated Mass and paused before the Offertory to install the new officers: Donna Montague, President; Erin O’Reilly, New Membership; Eleanor Raggett, Recording Secretary; and Paula Logan, Treasurer. 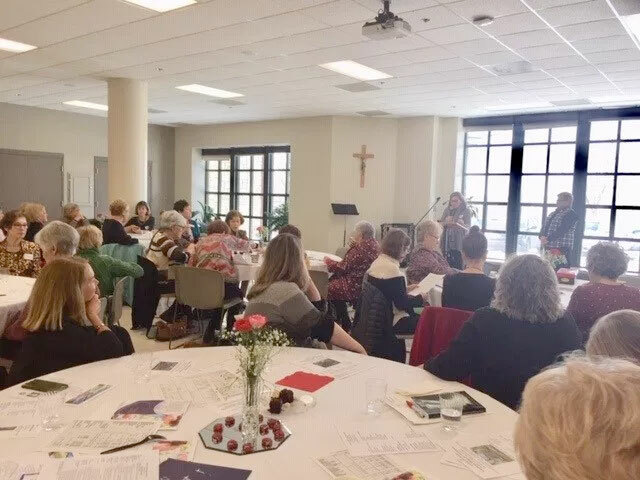 Following a prayer led by Spiritual Moderator Ruth Noel and lunch, the general meeting opened with remarks from outgoing President, Rosemary Nelson and brief reports from representatives of Villa St. Francis, Duchesne Clinic and Seton Center. 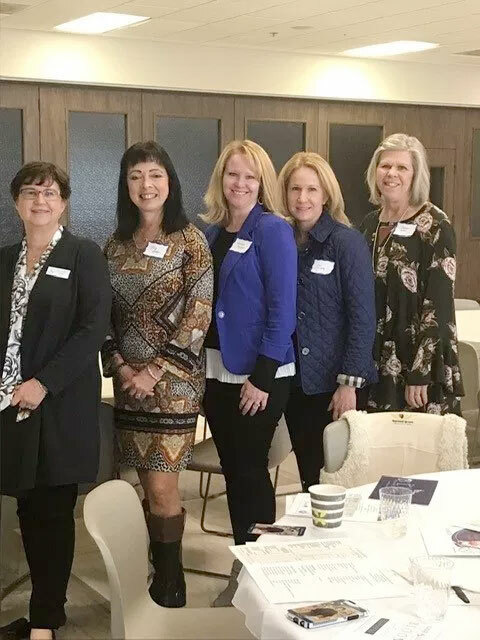 Catherine Powers shared information about the new program, Ladies of Charity Caregiving, Inc. and its slogan More Than Just Care. She explained that this service is rooted in a “400-year faith-inspired tradition to provide spiritual and corporal needs of persons who are sick, elderly or disabled while providing just and dignified employment opportunities for men and women.” Sandra Jurani, the new Director of Caregiving, told the group that she looked forward to helping launch the program and ensuring the highest quality care for all clients. Ellen Baty, Kerry Beller, Marilyn Boehm, Marilyn Bolin, Genevieve Brain, Susan Borders, Mary Campbell, Michelle Carlstedt, Sharon Cinelli, Joy Cohen, Patti Comstock, Linda Cook, Edith Dichtl, Mary Jane Doran, Julie Egan, Theresa Griffin, Linda Hanson, Martha Hausback, Liz Kelly, Tonyia Kennedy, Terry Kern, Mary King, Donda McLaughlin, Michele McLellan, Shannon Mailliard, Nancy Mendolia, Renee Miller, Rosemary Miller, Janice Mussatto, Teresa Nelkin, Ann Newell, Sue Nolan, Erin O’Reilly, Linda Peakes, Michelle Pickert, Karen Prewitt, Nancy Rasmussen, Sandy Reigel, Celeste Roggy, Michelle Salzman and Taylor Rose. Some of the new members of LOC of Kansas City: Julie Egan, Liz Kelly, Shannon Mailliard, Erin O’Reilly and Terri Kern. 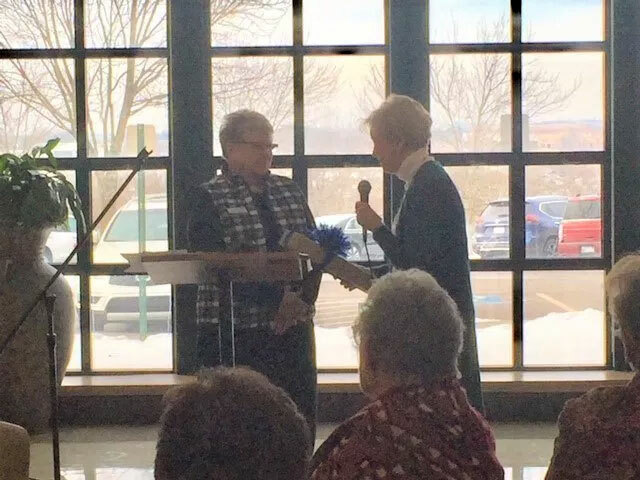 The meeting concluded with Rosemary Nelson introducing her successor Donna Montague who presented Nelson with a Thank You gift for her outstanding leadership from Ladies of Charity Kansas City. Rosemary Nelson (left) accepts a farewell gift from new President, Donna Montague.